Grand trunk road or most commonly known by its short name G.T Road is one of the longest roads of Asia. The road touches four countries on its way, Bangladesh, India, Pakistan and Afghanistan. The road stretches from Chittagong, Bangladesh to Kabul, Afghanistan. This ancient road existed from the time of Maurya Empire and the current modern road was rebuilt by the famous Empire of Delhi Sher-Shah Suri. The previous names of the road are UttaraPatha (“Road to North”), Shah Rah-e-Azam (“Great Road”) or Sarak-e-Azam or Badshahi Sarak. The road, on its way, touches Chittagong in Bangladesh, Sonargaon in the Narayanganj District of central Bangladesh,Howrah, Bardhaman, Panagarh, Durgapur, Asansol, Dhanbad, Aurangabad, Dehri-on-sone, Sasaram, Mohania, Mughalsarai, Varanasi, Allahabad, Kanpur, Kalianpur, Kannauj, Etah, Aligarh, Ghaziabad, Delhi, Panipat, Karnal, Ambala, Khanna, Ludhiana, Jalandhar, Amritsar in India, the stretch between Howrah to Kanpur is NH-2 and Kanpur to Delhi – is known as NH-91 and that between Delhi and Wagah, at the border with Pakistan, is known as NH-1. From the Pakistan border the Grand Trunk Road, part of the N-5 touches Lahore, Gujranwala, Gujrat, Jhelum, Rawalpindi, Attock District, Nowshera, Peshawar and Landi Kotal and then enters Afghanistan via Khyber pass and travels west to Jalalabad, Surobi and ends at Kabul.A large part of the Afghan part of Grand Trunk Road is now part of the Jalalabad-Kabul Road. Here is a statement of three known and unknown places on G.T road’s way which are also on the bank of some popular river. Dehri on Sone is a city in Rohtas district in the state of Bihar, India. The Longest Railway Bridge in India which lengths 3.065 km over Sone River links Sone Nagar and Dehri popularly known as Sone Bridge is situated near this place. 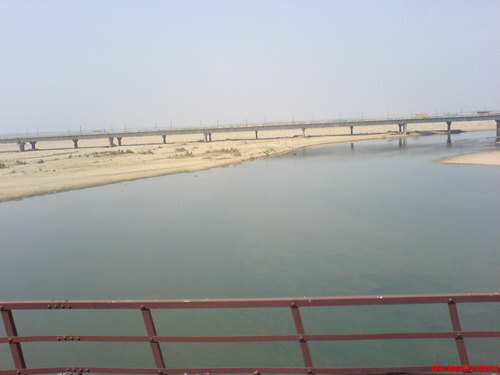 A motor bridge of similar length is NH2S is also built on river Sone. The Sone originated near Amarkantak in Madhya Pradesh and flows north-northwest through Madhya Pradesh state to the southwest-northeast-running Kaimur Range. The Son also touches the Kaimur hills, flowing east-northeast through Uttar Pradesh, Jharkhand and Bihar to join the Ganges just beyond Patna. The name Varanasi perhaps originates from the names of the two rivers from north and south-Varuna, still rolling in Varanasi, and Asi, a comparatively smaller brook near Assi Ghat. The old city is situated on the north shores of the Ganges, circumscribed by its two branches: Varuna and Asi. 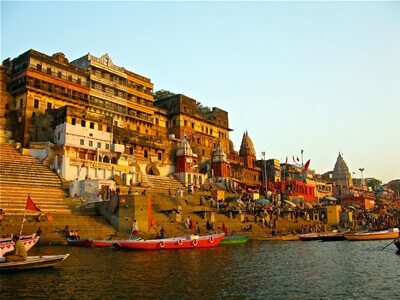 As per the legend, Varanasi was founded by the God Shiva. Some of the noticeable places in Varanasi are the Aghor Peeth, the Alamgir Mosque, the Ashoka Pillar, the Bharat Kala Bhawan, the Bharat Mata Temple, the Central University for Tibetan Studies, the Durga Temple, the Jantar Mantar, the Kashi Vishwanath Temple, the Mahatma Gandhi Kashi Vidyapith, the New Vishwanath Temple on the BHU campus, the Ramnagar Fort, the Riverfront Ghats, the Tulsi Manas Temple. Varanasi is a foremost center of arts and crafts. It is a manufacturer of silks and brocades with gold and silver thread work, wooden toys, and bangles made of glass, carpet weaving, ivory work, perfumes, artistic brass and copper ware and a range of handicrafts. Jehlam River is a river that flows from India to Pakistan. It is the longest and most western among the five rivers of Punjab, and flows through the Jhelum District. It is a branch of the Chenab River and has a total stretch of about 725 kilometres. The river Jhelum is named Vitastā in the Rigveda and Hydaspes by the ancient Greeks. 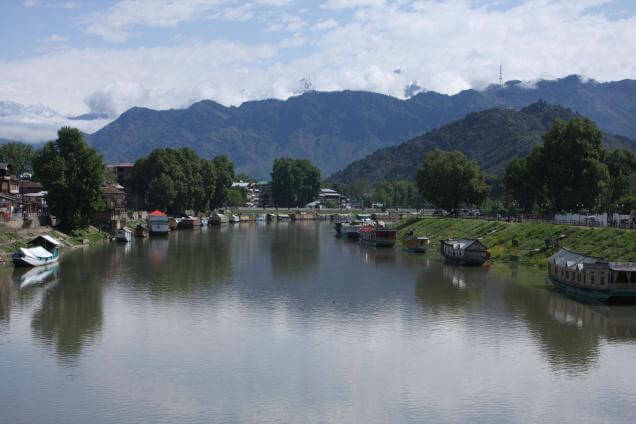 The river Jhelum originates from Verinag Spring situated at the foot of the Pir Panjal in the south-eastern part of the Kashmir valley in India. It flows through Srinagar and the Wular Lake before moving to Pakistan through a deep narrow gorge. The Neelum River, the largest stream of the Jhelum, joins it at Domel Muzaffarabad, same as the next largest, the Kunhar River of the Kaghan valley. It also joins with rest of Pakistan and Pakistani Kashmir on Kohala Bridge east of Circle Bakote. It is then combined by the Poonch River, and runs into the Mangla Dam reservoir in the Mirpur district.